#JubileeInMombasa Jubilee, NASA headon rallies in Mombasa steered by President Kenyatta and Hassan Joho respectively. - Bana Kenya News, Real African Network Tubanane. Home featured Mombasa #JubileeInMombasa Jubilee, NASA headon rallies in Mombasa steered by President Kenyatta and Hassan Joho respectively. #JubileeInMombasa Jubilee, NASA headon rallies in Mombasa steered by President Kenyatta and Hassan Joho respectively. Head to head rallies between NASA led by the Mombasa Governor Hassan Joho with the Jubilee brigade led by President Uhuru Kenya in Mombasa. President Uhuru Kenyatta and his Deputy William Ruto, on the other hand, will pitch their campaign tent at Jomvu at the same time with ODM/ NASA rally at Mvita grounds. The Incumbent Mvita Mp Adbulswamad Nassir will steer up the meeting at Mvita. Mombasa Jubilee deputy governor running mate Anania Mwaboza said Jubilee was now focusing on remote areas of the county and preparing to get more votes than what TNA and URP got in 2013. “We are now going at the peripheries. Last week, DP Ruto was in Junda." Mwaboza said Uhuru and Ruto will first address Shimoni residents in Lungalunga at 10 am before heading to Malindi at midday. 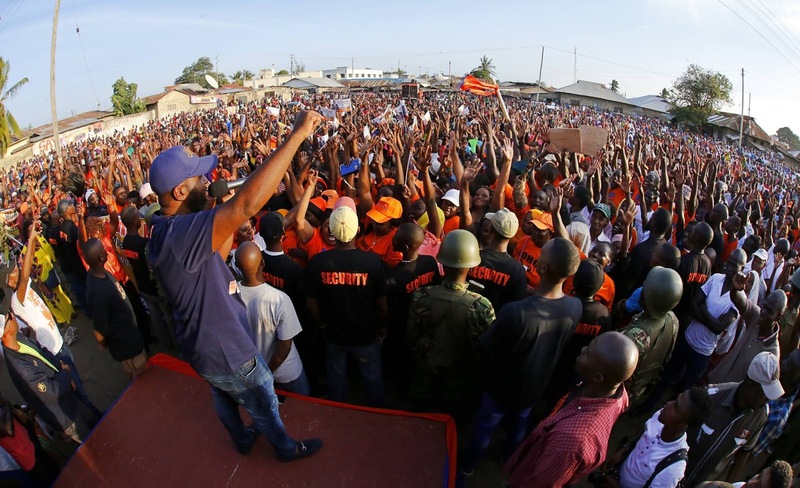 "Their last rally will be at Jomvu before heading back to Mombasa in Nyali,” Mwaboza said. All six Mombasa ODM MP nominees on Saturday said their Sunday rally will mark the beginning of a series of events that will proceed to all six constituencies. “ODM fraternity in the county saw it wise to start tomorrow (Sunday). "The message that we want to spread everywhere is peaceful campaigns which will culminate to the date of the general election,” host MP Abdulswamad Nassir said during a press conference at Mvita grounds. ODM party leader Raila Odinga is not expected to attend the rallies. However, Mps Nassir, Mishi Mboko (Mombasa woman rep), Badi Twalib (Jomvu), Omar Mwinyi (Changamwe), Rashid Bedzimba (Kisauni), Said Abdalla (Nyali) will be part of the rallies. Nassir said police have been notified. The Today head to head rallies will show the strength of the parties in the coast region. The ODM delegates meeting will push for more resources and votes within the county. The main Agenda will not be how to get seats but getting more votes for NASA in the next general elections.